Includes: Power cord, software, and cables. 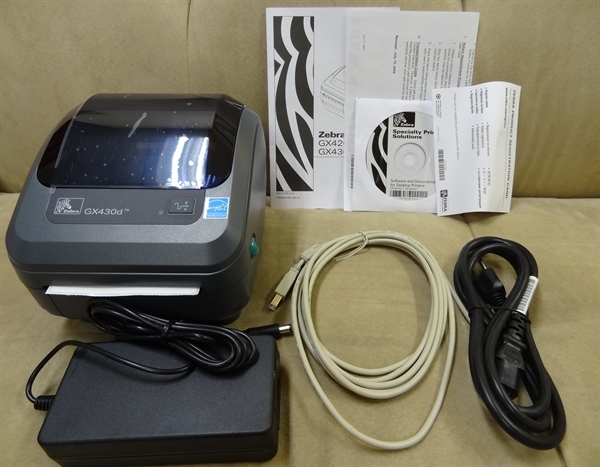 The best-in-class enhanced Zebra GX430D direct thermal printer offers the widest range of features, and fast 4 inches per second print speed to meet all your low- to medium-volume printing requirements. The Zebra GX430D has a sleek and compact design, boasts the smallest footprint in a 4-inch desktop printer, and supports a variety of applications and industries. The Zebra GX430D comes standard with EPL and ZPL programming languages and triple connectivity for easy integration into existing systems. 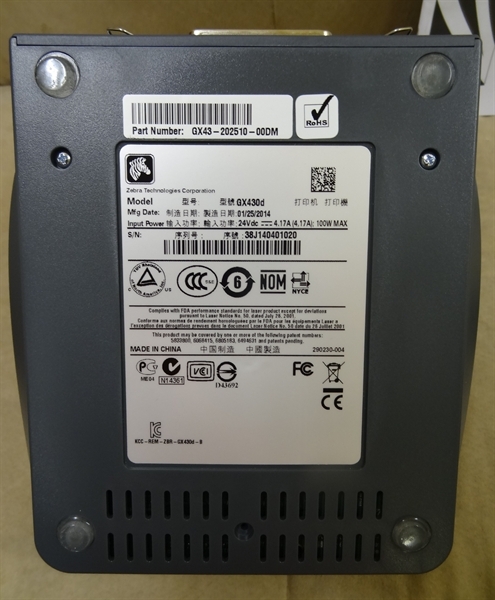 For additional flexibility, 10/100 internal Ethernet and wireless, 802.11 b/g or Bluetooth, options are also available. 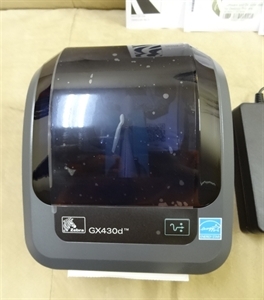 Well-suited to any industry and with options such as an adjustable media sensor, cutter and peeler, the reliable Zebra GX430D desktop printer is a smart investment that’s always a perfect fit.